On Sunday, October 28, I birded Jones Beach and Point Lookout in Nassau County, hoping to find migrating passerines blown to the barrier beaches by the strong northwest winds. I found some but not many. 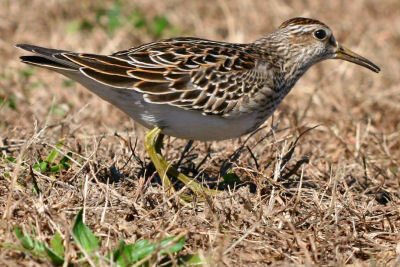 Instead of the expected passerines the bird that stole the show was a cooperative juvenile Pectoral Sandpiper (Calidris melanotos). 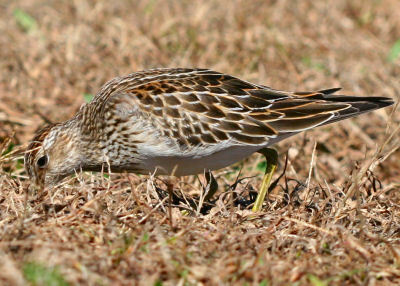 The Pectoral Sandpiper breeds across the tundra of North America and northeast Asia. It winters in South America and southern Africa. 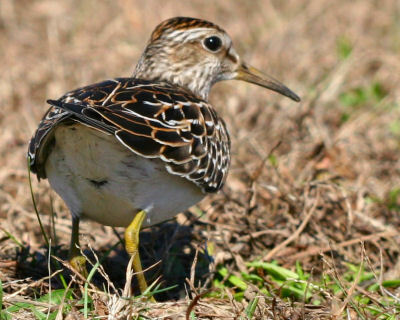 We New Yorkers only get to see it in migration, and it is generally more numerous in fall, especially upstate. 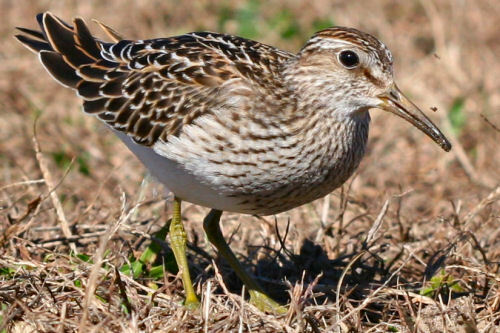 One tends to find them in wet grassy areas and marshes though I have seen them on rocky flats and mudflats. 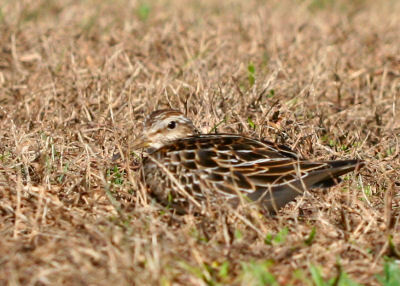 Its most obvious field mark is the one for which it is named; the heavy streaking on the breast (over the pectoral muscles) that ends abruptly before reaching the belly. 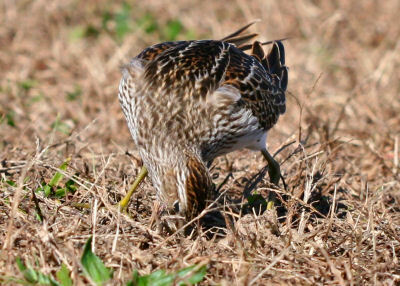 This particular Pectoral Sandpiper was easily approached by belly-crawling to within about two meters. It was foraging next to the entrance to a parking lot and didn’t seem to be disturbed by passing cars or my photography. In fact, it probed for, caught, and ate a couple of grub-looking things while I was photographing it, and never stood up tall as they are prone to do when disturbed. 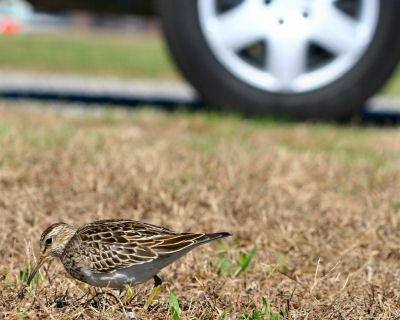 Seeing as it was a juvenile this lack of concern for cars and birders might be because it never encountered any before. Enough words, on to the pictures! 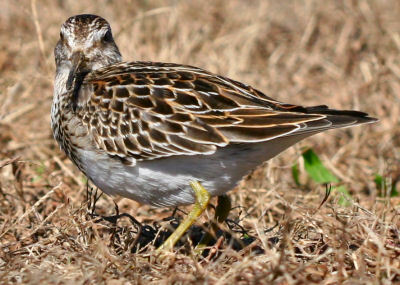 For more information on Pectoral Sandpipers go here, here, or here.